Planning to travel this summer? 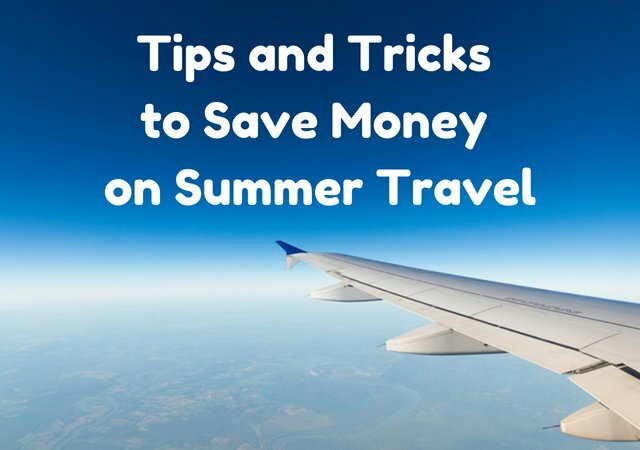 Following are some of my top money-saving tips and tricks for summer travel (including tips to save money on airfare, hotels and at your destination). 1) Start looking for flights early. There is a greater possibility of coming across an airfare sale the earlier you start looking for flights. 2) Sign up for email alerts and newsletters to learn about airfare sales. A good way to find airfare sales is to sign up email newsletters and email alerts. Some websites such as www.airfarewatchdog.com allow you to set email alerts whenever there is a low fare between cities you pick. For example, I can set an alert for cheap flights between Chicago and London and I will receive an email when the price falls below a certain amount. This also saves you time having to search for flights. 3) Use Twitter to learn about cheap deals right away. I find that twitter is better for booking limited time flight sales. Twitter accounts that tweet fare sales and mistake fares include @theflightdeal, @airfarewatchdog, and@secretflying. I frequently see US-Europe flights for under $500 posted on these twitter accounts. 4) Be flexible on your destination. If you are open on your destination you can save a lot of money by booking a flight to somewhere with the lowest airfare. If you know your travel dates, but are open to any destination use Skyscanner’s “Everywhere” feature to search for flights to any destination from your home airport. 5) Use the calendar feature on airfare shopping engines to compare prices on a certain route across various dates. If your travel dates are flexible, look at websites that show you a calendar of fares so you can pick the less expensive dates between two cities. 6) Consider booking a cheap flight to another city then continuing your trip with a low cost airline or train. Instead of booking a flight to the city of your choice it might be cheaper to book a flight to another nearby city. 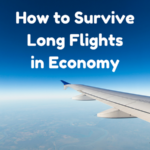 You can then book another flight with a low cost airline or take the train. For example, if flights from Chicago-Athens are over $1200 but you see a flight to London for $500 you can book that flight and then fly on a budget airline from London to Athens. 7) Use miles and points to book your flights and hotels. If you have miles and points, summer is a good time to use them (provided you can find award availability) because flights/hotels are more expensive compared to the low season. If you want to learn how to earn miles and points without traveling, read my Travel Hacking Basics. 8) Avoid checked luggage fees. If possible fly with only a carry on bag so you don’t have to pay for checked luggage fees. If you must check a bag, fly Southwest Airlines since they do offer free checked bags. If flying another arline consider signing up for a credit card from the airline you are flying with – one of the benefits of having an airline credit card is free checked bags. 10) Try opaque sites. Another place to look for hotel deals are “opaque” hotel booking sites, such as TravelPony, which sometimes offer lower hotel rates. 11) Avoid being caught off guard by hotel resort fees. Check if your resort or hotel has an additional resort fee not reflected on the quoted price. 12) Avoid expensive minibar fees. Purchase snacks or drinks from a nearby convenience store or grocery to eat in your room. 13) Visit low or shoulder season destinations. Even though summer is high season for most of the US and most places in the world, there are destinations where summer is low season. For example, hotels in the Caribbean cost less in the summer than they do during winter or spring break. 14) Join free walking tours or free personalized tours by local greeters. Many cities offer free walking tours which is a good way to get an introduction to a city. In some cities, there are also websites that connect tourists with locals that offer free personalized tours. A good website for finding local greeters is http://globalgreeternetwork.info. 15) Check out Groupon and other discount sites for discounts on local activities, tours and more. Prior to visiting a city, look at Groupon for discounts to attractions and activities you are interested in. Groupon frequently offers tours and other local activities at a discount. 16) Purchase a tourist pass such as CityPass to save money on museum/attraction fees. If you are visiting several museums and attractions in a city, it might be cheaper to purchase a tourist pass that covers entry fees rather than paying the entry fees separately. Another bonus is that these passes sometimes allow you to skip long lines. 17) Avoid eating at pricey restaurants geared to tourists. You can cut costs of food by eating at places frequented by locals. Most restaurants located near the major tourist attractions are pricey and geared towards tourists but if you walk a few blocks away you can find local establishments. 18) Save money on meals by purchasing food from the grocery store. Instead of eating out at restaurants consider buying food from grocery stores while traveling. It might be helpful to book a hotel with a full kitchen where you can prepare meals. Even if you would rather not cook, in many cities you can find grocery stores and convenience stores that sell prepared meals. 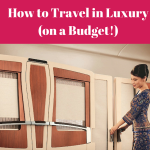 Always have the best tips on travel! Thank you!